The first thing you should think about is what to snack on. Even foods that are technically anti-inflammatory do not make the best snacks. 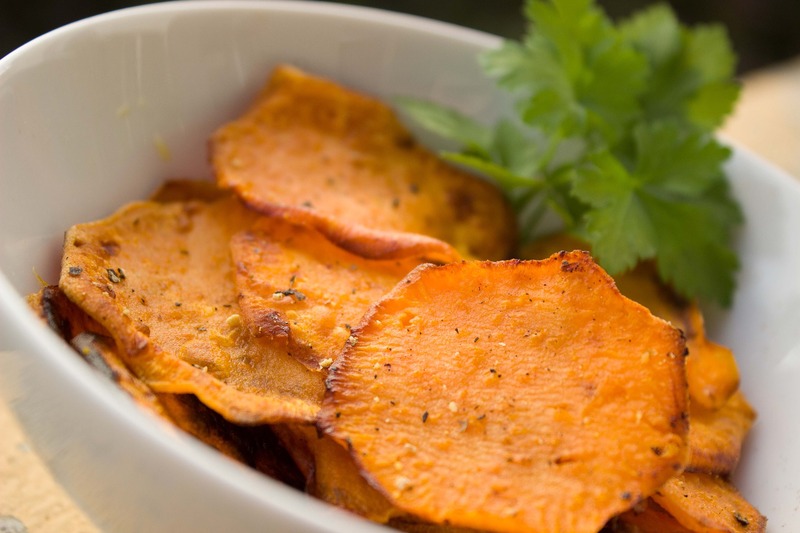 We do not recommend snacking on sweet potato or other vegetable chips because they can be high in fat and salt and low in protein. These snacks will not keep you full until your next meal. If you are trying to snack for weight-loss, be sure to grab something high in protein. Our lead health coach even recommends snacking on leftover chicken or steak if you find yourself hungry. You might not think about where you should be snacking, but research has shown that those who snack in front of a TV or computer screen will end up eating more. This is because we are distracted when we are watching something, so we aren’t paying attention to when we are getting full. Therefore, we end up eating more than we should and that might hinder weight-loss. Here’s a few suggestions to avoid eating too much: only prepare a small amount of your snack so you can’t go back for more. If you snack on something like nuts or olives, you can always prepare them in 1/4 cup containers to be sure you only have a small amount. Our favorite snacks are 1/2 cup of raw vegetables like cauliflower and broccoli and sugar-free salsa, celery dipped in a tablespoon of almond butter, or our top 10 snack mix. In order to snack while still maintaining weight-loss, chose the right snacks and snack away from your screen. Remember these tips and always be sure you’re truly hungry before you reach for something to eat!